Russia Today is fully aware that there is a global media war going on. And it is armed and ready for battle. The channel has grown shy of flaunting its Russian roots and now calls itself by the more global-neutral acronym, RT. Its production values are high, and RT is carried by cable companies and satellite services from Bhutan to Brooklyn. Its motto is “question more,” but it’s clear who supplies the answers to many of the questions on RT: the Kremlin. Kremlin leaders have fumed for years that western media – and American media in particular – present relentlessly negative coverage of their country; one diplomat has even dubbed The Washington Post “Pravda on the Potomac” for its portrayal of Russia. 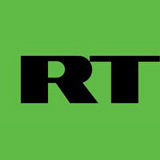 The Kremlin’s solution: launch Russia Today, which debuted in 2005 with the aim of presenting the world a positive view of Russia – as well as a Russian view on events outside the country. To make sure that RT spins Russia right, its editors meet weekly with press officials at the Kremlin, according to John Kluver, a former CNN Moscow correspondent who was recruited to work for RT when it began broadcasting. Topics discussed there are then covered by RT without much concern for presenting a balanced range of voices or nuanced context. RT is fighting the global media war, and it fights dirty. “I could tell very quickly that it was something I didn’t want to be a part of,” said Kluver, who left the channel after less than a year. Kremlin spin control is most obvious in RT’s rhetoric belittling the United States and in its lack of serious coverage of Russian domestic affairs. In another segment on Clinton’s remarks, correspondent Gayenne Chichakayene said that state-funded global TV channels like RT, Venezuela’s Telesur and Iran’s Press TV were just trying to give a fresh perspective to contrast with American “propaganda efforts.” American investigative journalist Danny Schecter, known for his far-left leanings, added that the U.S. is, by nature, unable to stand competing ideologies. If the names of American guests on RT are unfamiliar to many Americans, there’s a reason, said Jonathan Sanders, a former CBS Moscow correspondent. “Their guests are people on the fringes of respectability and cranks,” said Sanders. Some of the strongest anti-American rhetoric can be heard on The Alyona Show. It’s a weekday talk show hosted by 24-year-old Alyona Minkovski, born in Russia and raised in California. The format is a mix of produced pieces and guests. If the guests agree with Alyona, they usually take an anti-Americans slant. If they do not, it is common for Alyona to become confrontational – as she did with guest Jake Brewer, an open government advocate, when he told her audience that Barack Obama runs a transparent presidency. There’s far less spin when the Kremlin has minimal stake in an issue. In fact, RT’s reporting can be quite balanced and professional. CrossTalk, a show hosted by Peter Lavelle, is in lock-step with the Kremlin on many issues, but its coverage of the economic effects of Japan’s recent tsunami was informative and included a range of opinions from respectable experts. There’s little balance, though in coverage of Russian domestic affairs. When John Kluver, the former CNN correspondent, joined RT, he was promised by Russian editors that the channel would be an independent voice, like the BBC. But he found that its voice was actually that of Prime Minister Vladimir Putin’s United Russia Party. RT reporters instinctively know that there are things they cannot cover, said Kluver. Among them: issues that involve criticism of the Kremlin and difficult domestic problems – such as violent hazing in the Russian military. Kluver recalls being ordered not to interview certain sources, and his story pitches on sensitive issues within Russia were rejected by his bosses, he said. He left RT in 2006, less than a year after it started broadcasting. Another former employee, William Dunbar, was thrilled to be sent by RT to cover the former Soviet republic of Georgia. Dunbar was just 24, not an unusual age for many of RT’s staff (Margarita Simonyan, who has run the channel since its birth in 2005, was just 25 when RT launched). Dunbar resigned in 2008, writing a tell-all piece about being ordered to cover up Russian military attacks on civilians during the war with Georgia that year. What does get shown on RT is often a determinedly upbeat version of life in Russia. Negative news doesn’t run unless it is so important—a terrorist attack, for example – that it can’t be ignored. Stories on crime are avoided, as is reporting on Russia’s growing xenophobic nationalist movement. RT is a lot like Russian state TV, according to Fordham University journalism professor and former CBS News Moscow bureau chief Beth Knobel. When the channel launched, Knobel said, she was surprised that the Kremlin thought it needed an English-language station broadcasting to the world. That vanity appears to be Putin’s, and RT glorifies him and his party the same way Russian domestic TV channels do. In one Putin video from RT, a band plays a heroic fanfare as he comes on a stage – and then, incongruously, shows off his musical chops by singing a version of Fats Domino’s “Blueberry Hill” to an audience that includes adoring international celebrities. RT reporters are skilled at putting even potentially contentious issues in a positive light. In March, the channel aired a piece on a soccer game organized by Chechen President Ramzan Kadyrov against former Brazilian World Cup players. According to RT the match was a “major sporting event.” The pros, said RT, “snuck” their victory. But all was well at the end, because the lack of violent incident showed that the North Caucasus – scene of two civil wars since 1991 – is now a safe, stable place. That is an important point to the Kremlin. Its effort to be seen as a major player on the world stage was rewarded when Russia won its bid to host the 2014 Winter Olympics in Sochi, a city in the North Caucasus. The Kremlin knows that if visitors don’t feel safe coming to the region, they won’t attend the games. RT’s high production values cannot hide its lack of substantive journalism, especially in an information age when Internet citizen journalists speak their minds on the affairs of the Russian state. The channel is more instructive for what it says about Russia’s leadership than anything else. They still see enemies everywhere, and they are still hyper-sensitive about Russia’s place in the global community. Becky Bratu, Linette Lopez and Alice Popovici reported on RT. Budget: $30 million in its first year; current budget unknown. Audience: RT says it reaches 200 million viewers on five continents. In a nutshell: Pretty professional on issues where the Kremlin has minimal stake, but on other stories RT is often little more than clumsy Kremlin propaganda. 2The choice of stories, the sources used, and the overall tone of the reporting all express what appears to be an unspoken mission at RT: criticize America as much as possible. On The Alyona Show, the criticism can be almost obsessive. 3Reporters on the ground turn in professional work – from Tunisia, Egypt, Libya, and Japan. They stick with the stories day after day. But when western interests are a part of the story, the critical undertone creeps in. 1Forget learning anything about Kremlin politics or Russia’s economic and social ills. RT’s coverage of home is pure fluff. Vignettes from Russian life abound. Recently, viewers have been regaled with the charms of Maslenitsa (a pre-Lent pancake feast) and Russian felt puppets. 4The editing and graphics are slick, even stylish. Anchors and correspondents speak with authority, slogans are catchy and segments flow smoothly. One clunky item: the talking heads are “experts” with vague credentials; a recent contributor was identified as “Davey D, hip-hop journalist.” He spoke via what looked like a Skype connection in his own home. 1RT can raise good points in some of its stories. But its relentlessly anti-west message and its refusal to cover much of substance in its homeland leave little reason to watch it. The overall impression from RT programming is, Russia is great and the rest of the world is falling apart. Can it really be that simple?